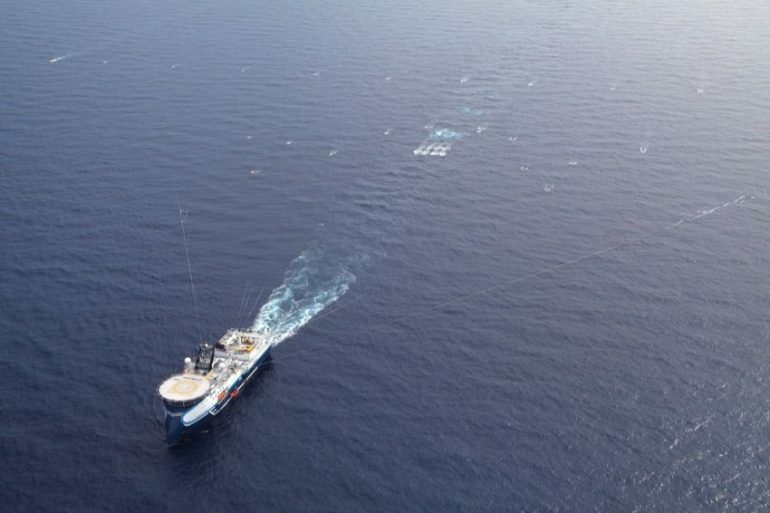 French geophysical services company CGG has announced the award of a contract by Petrobras to process the seismic data from a 3D Ocean Bottom Node survey in Brazil’s Santos Basin. This will be the largest node survey ever acquired and processed in the industry. The survey will be acquired by Seabed Geosolutions, CGG’s joint venture with Fugro. “CGG is a natural choice for this high-profile OBN processing contract given our in-depth geological knowledge of the Santos Basin and our recognized track record and proven advanced technologies for OBN processing. OBN surveys are one option at present for acquiring full-azimuth data offshore Brazil and we will work closely with Seabed Geosolutions to deliver the best images of the subsurface in the highly prospective Santos Basin,” said Jean-Georges Malcor, CEO of CGG. CGG filed for bankruptcy protection in June and is currently under a restructuring process.